“A philosophy professor stood before his class and had some items in front of him. When class began, wordlessly he picked up a large empty mayonnaise jar and proceeded to fill it with rocks right to the top, rocks about 2” diameter. He asked his students again if the jar was full? They agreed that yes, it was. The professor then picked up a box of sand and poured it into the jar. Of course, the sand filled up everything else. “Now,” said the professor, “I want you to recognize that this is your life. The rocks are the important things – your family, your partner, your health, your children – anything that is so important to you that if it were lost, you would be nearly destroyed. 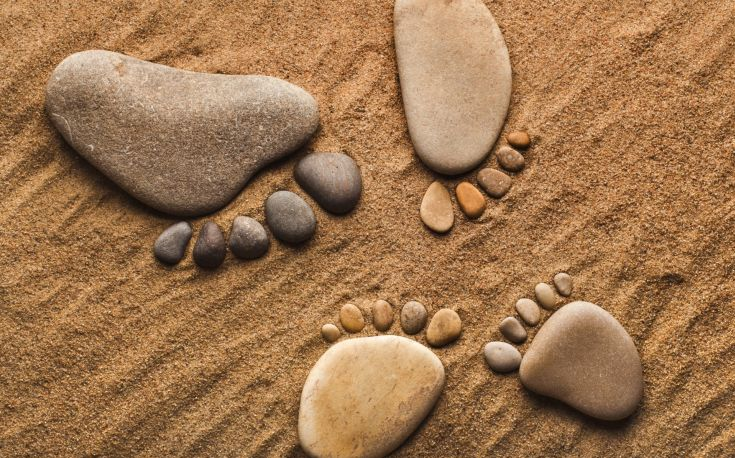 The pebbles are the other things in life that matter, but on a smaller scale. The pebbles represent things like your job, your house, your car. The sand is everything else. The small stuff. If you put the sand or the pebbles into the jar first, there is no room for the rocks. The same goes for your life. If you spend all your energy and time on the small stuff, material things, you will never have room for the things that are truly most important. Pay attention to the things that are critical in your life. Play with your children. Take your partner out dancing. Another way I thought of looking at this today is to consider the ROCKS as truth principles / the reality of life or laws of the universe whereas the rest is just the appearances of things. If you are familiar with the biblical parable of building a house on the rock vs on the sand, then you probably know the moral of the story is to build your house on a strong foundation so it can withstand storms. In life, the storms can be external circumstances and building your house on a strong foundation is equivalent to building your life on inspired action and truth principles beyond mere appearances. Making the inspired action or guidance the priority is how to apply the moral of the first story. Building your house on sand is like building your life based on your own rational understanding, your limited sensory perception and your limited experience. When trouble comes, you are easily shaken, frustrated and confused. Build on the rocks, my friend, and the sand will follow. Once again, John, you really hit the bullseye. So many of us struggle with anxiety and fear. We worry about everything, all the time. This was true in my life (and sometime still is). My consciousness used to be 99 percent sand. I began to become the person I was meant to be only when I learned what the rock were: a few truths about the way the universe works. I still have anxiety and fear, but now I have the tools to deal with it. My rocks: 1. I have no idea what is going on. I am a three dimenwsional shadow in a ten dimensional reality (according to superstring theory). My try to be in control when I am unable to perceive the vast majority of reality. 2. I am not a victim. I create my own reality. 3. Sharing acts are always in my best interest. 4. Every interaction I have is vitally important to me and the rest of the universe.